1. PC-Irrigation - Full Time 2 years’ Post Graduate Degree in any discipline with first division marks from a government recognised university/academic institution. 2. PE- IT MIS (MKSP) - Full Time 2 years’ Post Graduate Degree/ Diploma in Computer Application or similar from a government recognised university/academic institution. Or 4 years’ full time graduate Diploma/ Degree in Computer application/Computer Engineering or similar from a government recognised university/academic institution. 3. Accountant-State - 3 years’ Graduate Degree (full time or correspondence) in Commerce or other higher degree/diploma in relevant subject - from a government recognised university/academic institution. 4. District Manager-Finance -2 years’ Post Graduate Degree (full time or correspondence) in Commerce or 3 years’ Full time Graduate Degree in Commerce with first division marks from a government recognised university/academic institution. 5. District Manager-FI -2 years’ Full Time Post Graduate Degree or 3 years’ Full time Graduate Degree in any discipline with first division marks from a government recognised university/academic institution. 6. District Manager-SM&IB - 2 years’ Full Time Post Graduate Degree or 3 years’ Full time Graduate Degree in any discipline with first division marks from a government recognised university/academic institution. 7. 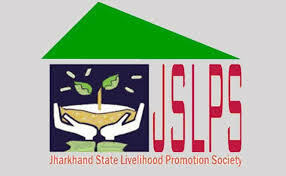 District Manager-Livelihoods - 2 years’ Full Time Post Graduate Degree or 3 years’ Full time Graduate Degree in any discipline with first division marks from a government recognised university/academic institution. 8. District M&E and MIS Officer - Full Time 2 years’ Post Graduate Degree/Diplomain Computer Application or similar from a government recognised university/academic institution. 9. District Accounts Officer - 2 years’ Post Graduate Degree (full time or correspondence) in Commerce or other higher degree/diploma in relevant subject from a government recognised university/academic institution. 10. District Accountant (DAY-NRLM) - 3 years’ Graduate Degree (full time or correspondence) in Commerce or other higher degree/diploma in relevant subject - from a government recognised university/academic institution. 11. District Manager - Skills & Jobs - 2 years’ Full Time Post Graduate Degree or 3 years’ Full time Graduate Degree in any discipline with first division marks from a government recognised university/academic institution. 12. RPO-FISC (Agri Value Chain) - 2 years’ Full Time Post Graduate Degree or 3 years’ Full time Graduate Degree in any discipline with first division marks from a government recognised university/academic institution. 13. RPO-FISC (Agri Insurance) - 2 years’ Full Time Post Graduate Degree or 3 years’ Full time Graduate Degree in any discipline with first division marks from a government recognised university/academic institution. 14. RPO-FISC (AgriCredit) - 2 years’ Full Time Post Graduate Degree or 3 years’ Full time Graduate Degree in any discipline with first division marks from a government recognised university/academic institution. 15. DPO-HVA - 2 years’ Full Time Post Graduate Degree or 3 years’ Full time Graduate Degree in any discipline with first division marks from a government recognised university/academic institution. 16. DPO-Livestock - 2 years’ Full Time Post Graduate Degree or 3 years’ Full time Graduate Degree in any discipline with first division marks from a government recognised university/academic institution. 17. DPO-MIS - Full Time 2 years’ Post Graduate Degree/Diploma in Computer Application or similar from a government recognised university/academic institution. 18. District Accountant (JOHAR) - 3 years’ Graduate Degree (full time or correspondence) in Commerce or other higher degree/diploma in relevant subject - from a government recognised university/academic institution. 19. District Project Coordinator - Full Time 2 years’ Post Graduate Degree in any discipline with first division marks from a government recognised university/academic institution. 20. District M&E and MIS Coordinator - Full Time 2 years’ Post Graduate Degree/Diplomain Computer Application or similar from a government recognised university/academic institution. 21. District Accountant - 3 years’ Graduate Degree (full time or correspondence) in Commerce or other higher degree/diploma in relevant subject - from a government recognised university/academic institution. 22. BPM (DAY NRLM and MKSP) -3 years’ Full time Graduate Degree in any discipline or other hire degree/diploma in relevant subject - from a government recognised university/academic institution. 23. BPO (JOHAR) -3 years’ Full time Graduate Degree in any discipline or other hire degree/diploma in relevant subject - from a government recognised university/academic institution. 24. BPO - Technical Support Officer - Full Time 2 years’ Post Graduate Degree/ Diploma in Computer Application or similar from a government recognised university/academic institution.